Rain Coast will connect to your Shopify store then print and ship your orders to your customers from our shop in Canada! Domestic shipping, finally! Our goal is to help you grow your brand as quickly as possible. We will streamline the printing and dropshipping aspect of your brand by keeping the process within Canada. Rain Coast is one of the new up and coming dropshipping companies in Canada that is here to help your brand grow. We are a dropshipping company that can handle all the printing and shipping of your orders directly to your customers in Canada. No more dealing with print on demand canada companies that aren't in Canada! We are here to offer you peace of mind and handle the operations side of your business so you can focus on sales and growth. No equipment needed, no warehouse, no overhead to get this off the ground. Using a Print on Demand Canada business model means you don’t need to invest any money on inventory. Instead, you only need to purchase the garment after the sale has already been made! Launching a dropshipping business reduces alot of the risk in starting a business. Since it requires much less investment, the old factors that make or break a business don’t affect this new model as much. 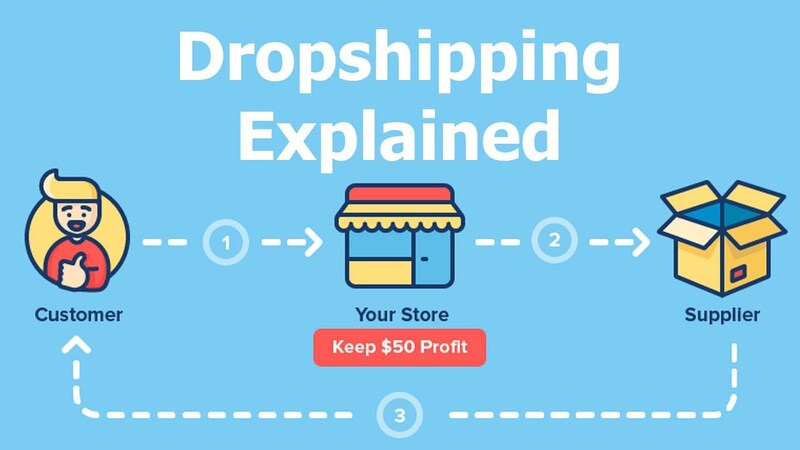 Running your dropshipping business in Canada will cost much less if you choose to partner with a dropshipper like Rain Coast. There will be no requirement to store your own products so you don’t need much space to operate. You can run this from a small office based out of your own home! This leads to a flexible business model that you can run on your own time. With the dropshipping business model you are able to offer a large product catalogue since you aren’t physically stocking them in a warehouse. If you have a large product offering, you are more likely to have designs that appeal to a greater number of people. Sales will increase as you have the ability to offer something for everyone! It’s much easier to manage the growth of your brand with the dropshipping business model since you can get a clear sense on how much profit your making based on the sales of your item. You will be given monthly reports on your sales and you can easily tell which products are winners and which you should drop. That will help you with marketing and in turn, growth. Also, since you aren’t worrying about the inventory and shipping side of your business you can really focus on driving sales. It’s easy to scale your dropshipping business once sales start to come in. You will quickly be able to tell which of your products are winners, and which ones aren’t responding well in the marketplace. You can easily drop the losers and double down on the winners and tailor your marketing efforts in an educated manner. The profit margin isn’t astronomical. Suppliers might have issues with inventory, things might be out of stock from time to time. There might be shipping issues with Canada Post. Complex Shipping. If you work with multiple shippers there is plenty to manage. Is Rain Coast Print Shop the Dropshipper Canada Partner that's right for you?